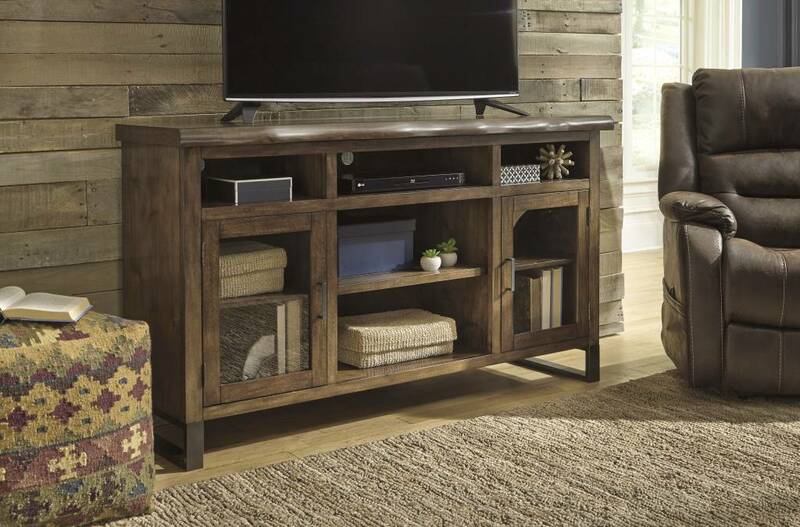 Item Description: Naturally chic with a touch of urban industrial flair, the Esmarina TV stand simply showcases your clean, contemporary sense of taste. 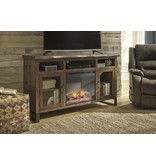 Finished in a rich walnut tone and set on a sleek metal base, it includes a faux "live" edge wood top for added interest. 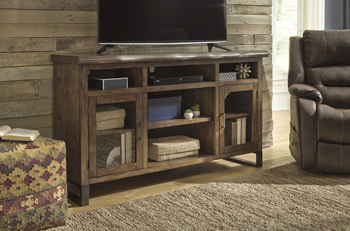 Trio of open cubbies accommodate media equipment, while glass-front cabinets are perfect for home accents. 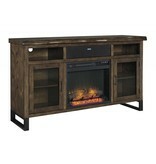 Optional LED fireplace insert (sold separately) offers added warmth and rustic charm. Series Features: Made with Poplar solids and Acacia wood veneers finished a rich deep Walnut brown color. TV stand top features a faux “live” edge. Metal base frames add an urban industrial flavor. 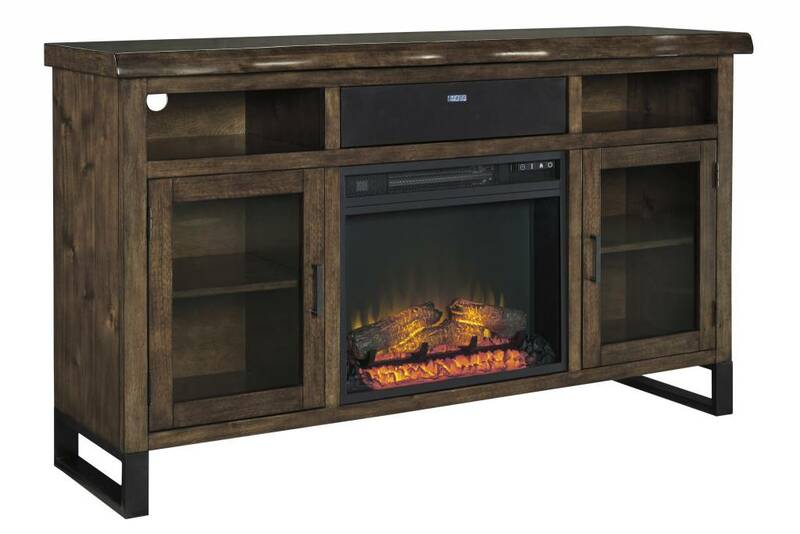 TV stand is compatible with our W100-31 Small Integrated Audio and W100-01 electric fireplace insert.